Enrika Trades & Services Pvt. Ltd has a formed a Joint Venture with one of the major world producers of heavy duty Dumpers ,OJSC “Belarusian Autoworks”-Belaz. 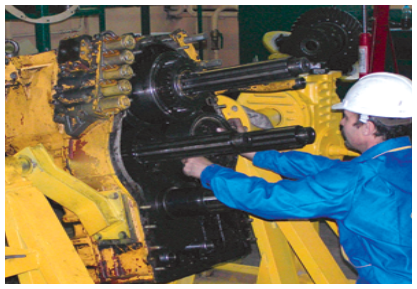 The” Belaz- Enrika” Joint Venture envisages to set up a major repair and maintenance facility in Nagpur city. Dispatch team & technical experts to the sites of the end users for carrying out necessary servicing and maintenance works of the dumpers. Having a major warehousing area holding large inventory of necessary and critical spares and equipments. Training centre run by the highly skilled technical experts from the OEM, who shall impart training to the local engineers / technicians. This centre shall also offer training of the operators on simulators which will be an unique service by itself. The Joint Venture shall also extend the facility of sending team of engineers & technical experts of the end users for training & enhancing of knowledge to the Belaz plant in Belarus. 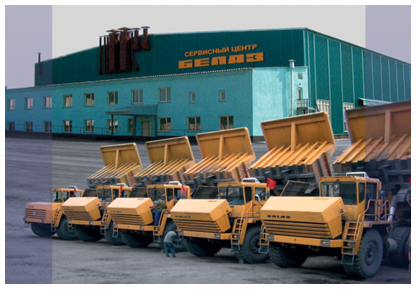 Ultimately this centre shall act as a “main centre” of Belaz equipment which shall be interconnected with the network of workshops at the end users’ site wherever Belaz dumpers & mining equipments are deployed. This Joint Venture shall keep regular tab on the performance and percentage of availability of Belaz dumpers and mining equipments functioning at various sites in India. So that this will provide detailed & comprehensive picture of performance of Belaz equipments as well as providing the end users a facility of “One Stop Shop” to cater for all their needs including service, maintenance, repair & delivery of critical spares & components on a short notice. BELAZ-ENRIKA copyright 2011. All rights reserved.